JP: When I was a kid, my father always thought I should try out ballet after we went to see the movie, Billy Elliot. I never thought it was for me until several years later, at the age of 16, when I was forced into taking a hip hop class by my best friend. At first, I found it so difficult and very frustrating, but I soon fell in love with it and wished I had started earlier. 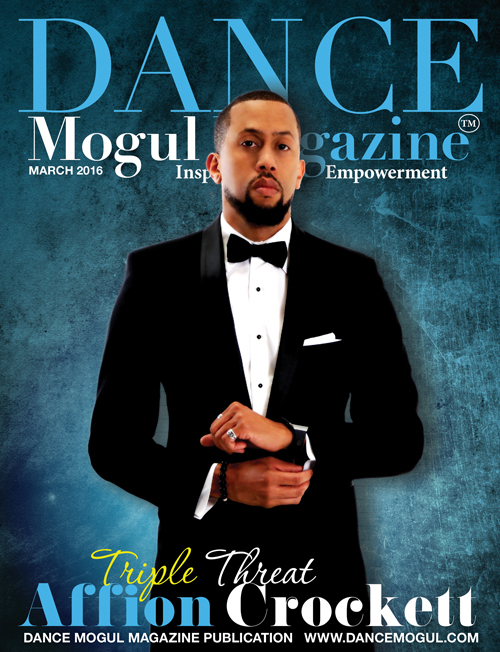 Dance Mogul: What was is like trying to develop your craft being from Canada? JP: I had great teachers at the studio I danced at in Montreal. I would jump on every opportunity to go to a dance convention that came to the city or cities nearby. I also made a trip every year to New-York City to train intensively at Broadway Dance Center. I was so hungry for dance that I would take as many as 5 classes per day. I believe one of the reasons Canadian dancers have a good reputation out here is because of the hunger we have that fuels our passion. 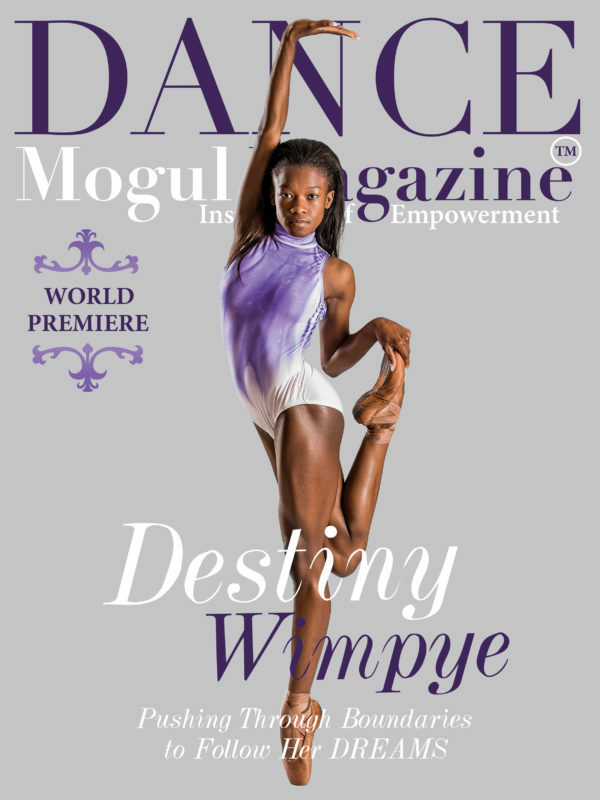 Dance Mogul: What was the experience like to transition to NY, train under Rhapsody then move LA? JP: During one of my yearly trips to the city, I auditioned for the third season of Rhapsody’s Motivating Excellence program. I had no idea about the audition until I was in the city. Once I was accepted into the program, my move to New York, to my great satisfaction, was inevitable. I lived there for several months, training under her during the day, and taking more dance classes at night. My dancing completely changed for the better, and I learned so many important tools that I have used throughout my career. I got signed with Clear Talent Group and they helped me obtain my first visa. After moving a friend from New York to LA by road-trip that summer, I immediately knew this is where I could get the most out of my career, and I moved there shortly after obtaining my visa. Looking back, I can see that everything fell into place perfectly as I had always hoped it would. 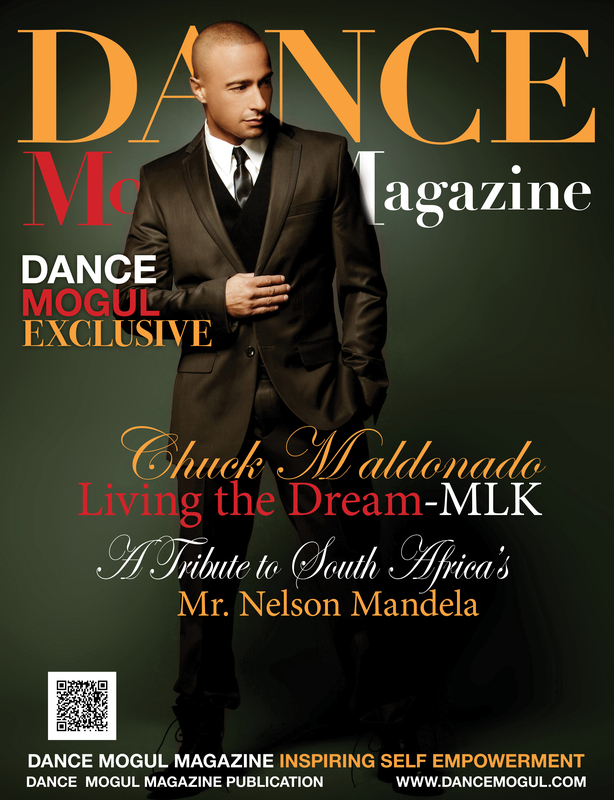 Dance Mogul: What hardships did you encounter pursuing your passion? JP: I consider myself very lucky to be living off of my passion. Although it has amazing moments, being a professional commercial dancer is a constant hustle. You are basically working from the moment you wake up until you go to bed. You are constantly thinking of ways you can better yourself and your career and for the most part, what you put into it is what you will receive. My least favorite part was when I had long periods in between contracts. It is a challenge to find motivation in those times of instability which sometimes made me question my purpose, especially because, being on an O-1 visa means I can only make a living through dancing (or acting). When I look back, though, I always think of the great moments and memories over the slower times. It’s all part of the game. 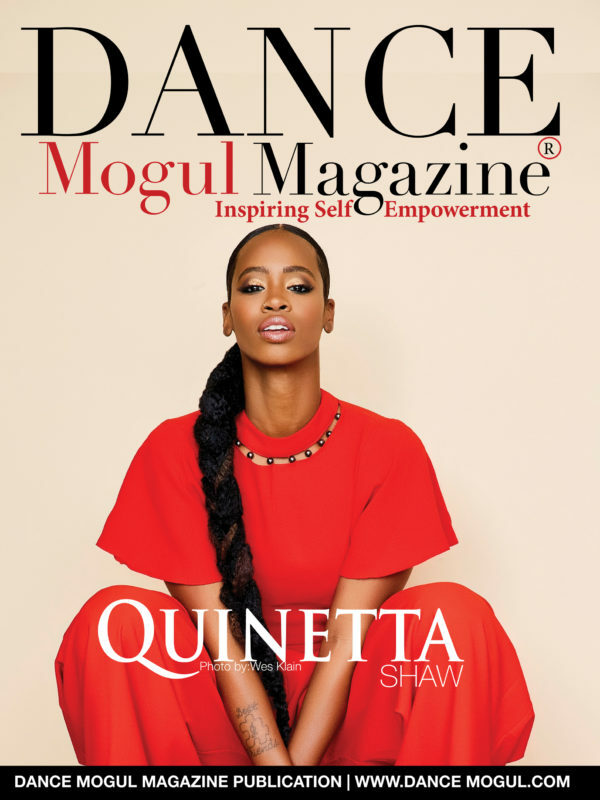 Dance Mogul: What would you tell your younger self-based on your experiences now? JP: I would tell myself to trust myself more. You are your own best friend, or worst enemy; especially in this industry, where it is so easy to get caught up in your head with worries and frustrations. Every time I come out of those moments where I may have doubted myself, I always tell myself “See, you didn’t have to worry so much, you got this!” Trust that if you are doing everything that you are supposed to be doing, you will be rewarded for it; but don’t anticipate and expect it. 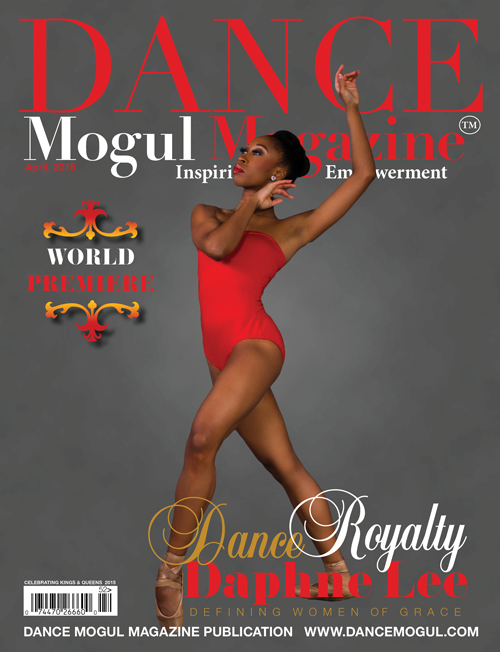 Dance Mogul: What have been some of your favorite moments your career choices have brought you? JP: Back when I was in Canada, I watched Glee and told myself that one day I would dance on that show. Not only did I get a chance to dance on it, but I also landed a recurring role as one of the Warblers on the 6th season. Being on that set brought me so much joy and I will cherish the many great memories I made throughout the filming process. As well, last year, I was asked to dance for Christina Aguilera in Morocco in front of a crowd of over 250 000 people. Not only was it my first time traveling out of the continent, but it was also my first time dancing for an artist that was so present in my childhood. Since then, I have traveled to many other great places with her. Doing what you love while traveling the world? Yes please, and thank you. 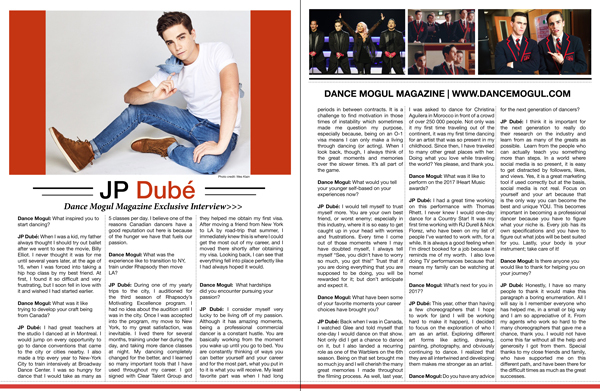 Dance Mogul: What was it like to perform on the 2017 iHeart Music awards? JP: I had a great time working on this performance with Thomas Rhett. I never knew I would one-day dance for a Country Star! It was my first time working with RJ Durell & Nick Florez, who have been on my list of people I’ve wanted to work with, for a while. It is always a good feeling when I’m directly booked for a job because it reminds me of my worth. I also love doing TV performances because that means my family can be watching at home! Dance Mogul: What’s next for you in 2017? JP: This year, other than having a few choreographers that I hope to work for (and I will be working hard to make it happen), I decided to focus on the exploration of who I am as an artist. Exploring different art forms like acting, drawing, painting, photography, and obviously continuing to dance. I realized that they are all intertwined and developing them makes me stronger as an artist. 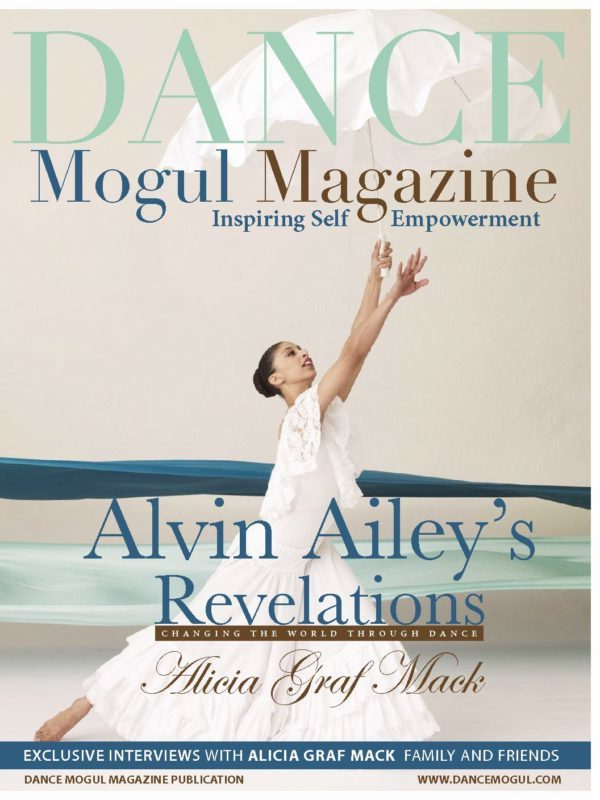 Dance Mogul: Do you have any advice for the next generation of dancers? JP: I think it is important for the next generation to really do their research on the industry and learn from as many of the greats as possible. Learn from the people who can actually teach you something more than steps. In a world where social media is so present, it is easy to get distracted by followers, likes, and views. Yes, it is a great marketing tool if used correctly but at the basis, social media is not real. Focus on yourself and your art because that is the only way you can become the best and unique YOU. This becomes important in becoming a professional dancer because you have to figure out what your niche is. Every job has its own specifications and you have to figure out what jobs will be best suited for you. Lastly, your body is your instrument; take care of it! 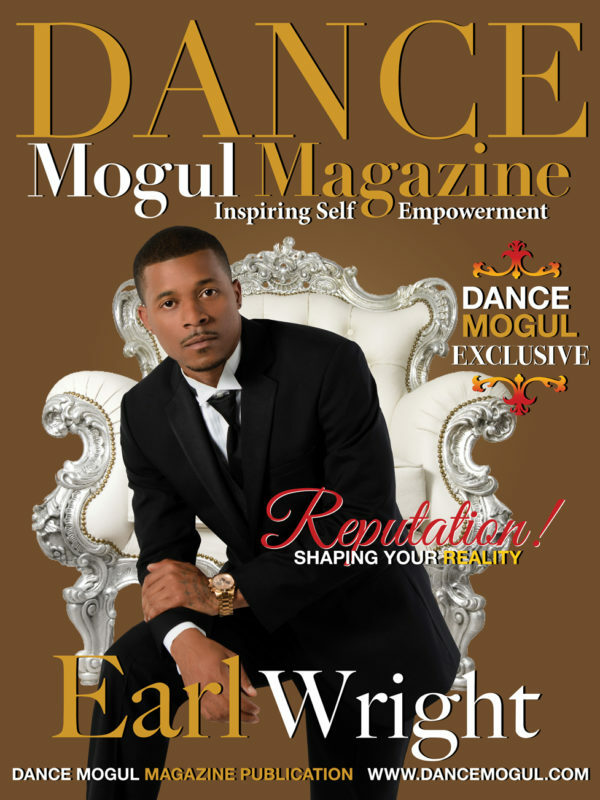 Dance Mogul: Is there anyone you would like to thank for helping you on your journey? JP: Honestly, I have so many people to thank it would make this paragraph a boring enumeration. All I will say is I remember everyone who has helped me, in a small or big way and I am so appreciative of it. From my agents who work so hard to the many choreographers that gave me a chance, thank you. I would not have come this far without all the help and generosity I got from them. Special thanks to my close friends and family, who have supported me on this different path, and have been there for the difficult times as much as the great successes.